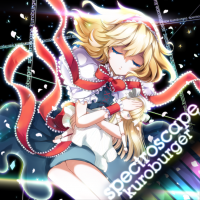 spectroscape is a remix of ブクレシュティの人形師, stage 3 theme of the Touhou Project game 東方妖々夢 ～ Perfect Cherry Blossom. 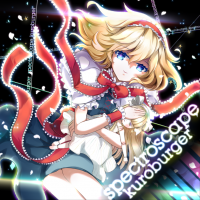 spectroscape is a song part of the Touhou Perfect Cherry Blossom Remix Song Contest (東方妖々夢リミックス楽曲コンテスト). It was added to SOUND VOLTEX III GRAVITY WARS on February 25th, 2016.